Avoid Shipping Horror Stories with the right Supplies! 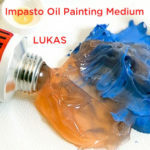 Don’t Stress over Damaged Art with the right Art Shipping Tubes and Boxes ! Now while this might be a bit exaggerated, shipping artwork safely is a big deal. When you’ve spent a lot of time and effort on your artwork, it becomes almost impossible to think that something could happen to your artwork while being shipped. However, things do happen, packages do get smashed and tossed around while being shipped and transported. 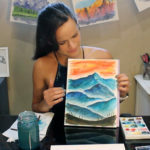 Many professional artists don’t have the luxury of getting their art dented or scratched when shipping sold pieces or prints, meaning that taking the proper shipping precautions is imperative. So what’s the proper way to store, mail or ship your art to handle everything from rough handed mail carriers to earthquakes? 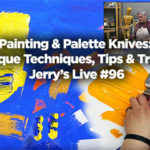 Jerry’s is here with all the answers! What you store your art in before you send it on its way is extremely important to keeping it safe. The brown shipping boxes available at the post office, UPS or FedEx store were not made for artwork and won’t properly protect them either. Packing peanuts won’t stop your art from shifting in place. Wrapping your art in tissue paper can lead to the tissue paper bleeding onto your artwork and bubble wrap can melt onto your art if it’s not properly stored in a cool enough environment. Don’t pack your artwork this way and ruin it. For your valuable art, you need the right shipping materials. For a watercolor, sketch, pastel piece,print, or anything on paper use an archival shipping tube like the Acurit Mailing Tube or the Acurit Colorview Tube. The Acurit Mailing Tube features a double layered cardboard core for extra protection with round metal disk ends so that the tube wont lose shape, dent, bend or break during shipping. When carrying them by hand or car, they are more than easy to carry. The Acurit Colorview Tubes are made of a durable plastic for even stronger protection and are see through for quick and easy identification of artwork and also offer UV protection. The Colorview tubes are moisture proof as well and are great for safe shipping. Another great quality of them is that if you were to check them on a plane, they would be more than easy to pick out at baggage. The Colorview tubes also feature a handy and adjustable shoulder strap for easy handling. 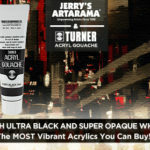 Jerry’s Artarama also carries unique shipping boxes perfect to mail or ship framed artwork, canvases or frames. ezART Shippers are an easy way to make sure your art arrives safely. Made from a sturdy corrugated cardboard, the eZART shippers sport an inner plastic pocket to hold your framed artwork or canvas snug against a shock absorbing inner piece before being boxed up firmly with plenty of protection. It is easy and simple to assemble and promises to keep your art from shifting around. This two piece shipper is available in four different dimensions and can hold art to 2.5″ deep. Another way to protect your artwork from damage at a very low cost is to get Corrugated Corners for your framed work. These corners will stop art from sliding around the back of a moving truck, stop minor scratches and acts as an easy buffer between other packed pieces of art if you are shipping large amounts of it. They come in bulk packs so they are ideal for galleries, art teachers or art related small businesses. They also only take seconds to assemble so you won’t have to stress over time or your art getting damaged. While the right packaging can set your mind at ease, it is always helpful to insure your packages when shipping them in order to have your work covered to the value it is worth with minimal loss if the worst should happen. The Post Office, FedEx and UPS all offer insurance policies to protect your art’s value. Be mindful however as FedEX will only insure artwork up to $1000 while UPS will insure art up to $50,000. Another handy tip is to always mail things with clear labels and make sure the inner items have your name and address on them. This is especially important for art shows and gallery showings. If you plan to have your work mailed back to you after a showing, keeping a name and address attached to the artwork will make things easier and almost guarantees that your art wont get lost even if the shipping papers get lost. 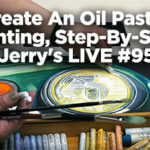 For more shipping and handling information on art and helpful products, Check out Jerry’s Artarama Art Shipping Supplies Page. Have any helpful shipping and mailing tips yourself? Let us know about them in the comments below.